More than a quarter of the seats have already been snapped up for this year’s panto at The Customs House, Beauty and the Beast. 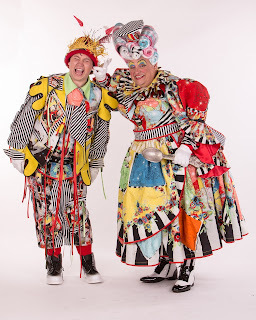 It seems that panto fever hasn’t quite died down following the success of The Lambton Worm at the Mill Dam theatre in South Shields last year. 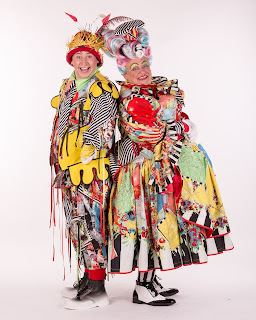 More than 8,000 tickets have been booked by people keen to see the return of Dame Bella and her hapless son Arbuthnot. Originally written more than 300 years ago, Beauty and the Beast has been retold many times over the years in film, musicals and on stage, most recently in last year’s live adaptation of the 1991 animated Disney classic, starring Emma Watson as Belle. For the first time ever, it now gets the unique The Customs House twist. Why was the Prince of Peterlee turned into the Beast of Cooksonville by the beautiful enchantress – and how was Arbuthnot turned into a bidet? Beauty and the Beast runs from Tuesday, November 27, 2018, until Saturday, January 5, 2019. Tickets are on sale now, priced from £9.99, with prices frozen until July 31. If you can’t wait until then for panto fun, catch Arbuthnot (David John Hopper) and Puddles, his sidekick from The Lambton Worm, in Puddles’ Adventure, which is at The Customs House from Wednesday, February 14, to Friday, February 16. The show reunites cast and characters from previous pantos at The Customs House, including Steven Lee Hamilton as Fleshcreep from Jack and the Beanstalk, Eleanor Chaganis as Dormouse from Alice in Wonderland and Kylie Ann Ford as Chorizo the Pig from Little Red Riding Hood, as Arbuthnot and Puddles take on Fleshcreep. Performances are at 11am and 2pm and tickets are priced from £7.50. Contact the box office on (0191) 454 12334 or book online at www.customshouse.co.uk.